The Minister of Commerce and Industry, H E Ali bin Ahmed Al Kuwari, underscored yesterday the importance of strengthening bilateral relations and bolstering cooperation opportunities between Qatari-Bulgarian across various fields. 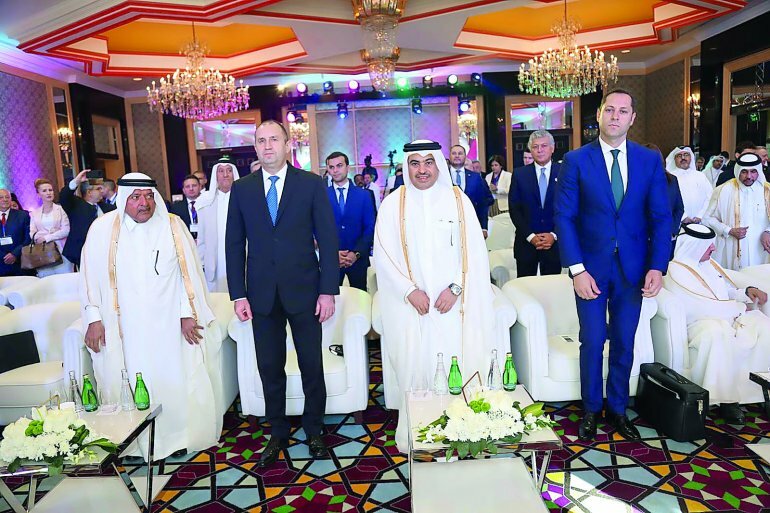 In his opening address at the Qatari-Bulgarian Business Forum in Doha, Minister Al Kuwari expressed hope that the Qatari-Bulgarian Business forum paves the way for successful partnerships that will benefit both countries. Al Kuwari emphasized the contribution of the forum to the promotion of Qatari-Bulgarian trade and investment cooperation while praising the friendly relations between the two countries. The forum featured presentations by Qatari and Bulgarian officials on the business environment and investment opportunities in both countries. The forum also featured bilateral meetings between businessmen from both sides to discuss investment opportunities and long-term economic cooperation mechanisms.